Attention Mall Shoppers: Thirty-seven year old Venezian opera director Damiano Michieletto's idea for La Bohème -- opening tomorrow night at the Salzburg Festival with Beczala as Rodolfo, Trebs as Mimì and Machaidze as Musetta -- is Paris as a cross-section framed within Google Maps and dropped into a mall. The young bohemians are mallrats who live in "a glorious age of illusion and utopias, like children, irresponsible. Rodolfo is snappy and irritable and Mimi is fragile." Judging by costumes, it's set in the ~other~ mall where kids clocked each other with masterlocks and stole from Hot Topic, Spenser's and Chess King. Tomorrow night's la prima will start at 7:00pm on Radio3, streaming live from the Grosses Festspielhaus, featuring interviews with Michieletto and Gatti on the podium with the Wiener Philharmoniker. All photos Silvia Lelli. Cranky New Year From Sir Jonathan Miller! Love Letters To Gheorghiu, Zeffirelli, Joe "Tony Soprano" Volpe, et. al. In a Mortal Kombat of snark, Opera Chic's Uncle Normy aka Norman Lebrecht interviews Sir Jonathan Miller, opera's favorite neurologist, for the "Evening Standard". Miller is working on a Brassai-inspired "Bohème" for ENO. There's also a tasty little Shakespeherian anecdote re: Sir Laurence Olivier and his love for, quote unquote, "the Hebrews". Now, one of the cool things that happen to you when you move to Europe is that you start rethinking the whole clear-cut "genius vs charlatan" thing -- you slowly learn that the two categories are not necessarily antithetical and sometimes even partly overlap. Sir Jonathan seems to be an example of such a phenomenon. 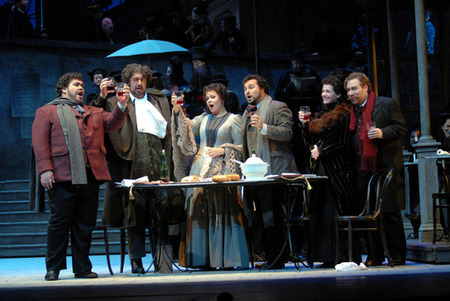 Live on Radiotre, Italian listeners have been treated earlier tonight to a live broadcast of the premiere of La Bohéme from Teatro Carlo Felice in Genova. Cristina Gallardo Domâs was supposed to be Mimì, only she fell ill a few hours before the show was supposed to start. 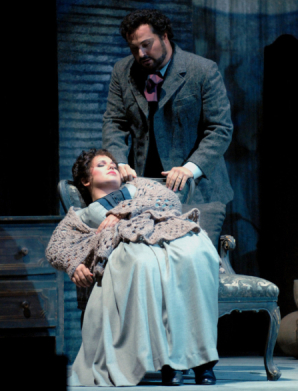 Alerted in the late afternoon, young American soprano Elaine Alvarez -- who only fourteen months ago had never sung in a major opera company -- as Cristina's understudy came to the rescue the way she did when Angela Gheorghiu was fired from Chicago's Bohème last year and Elaine A., her understudy, stepped in and made critics swoon. La Alvarez barged ahead with her trademark warm colors, displaying her blooming powerful soprano and -- judging by the audience's reactions, since we obvs had no visuals -- her knack for raw, emotional acting that made her Chicago Mimi such a treat. After coming in from the wings to pwn first Gheorghiu, then Gallardo Domâs, we have only a piece of advice to sopranos she'll end up in the same production of Bohéme with: worry. The long wait is finally over. La Bohème ~the 2008 movie~ has finally exited to the Austrian public today, while the screening party was held earlier this week. Enjoy below three pictures of fashion icon Rolando Villazón and wife Lucia from the premiere in Vienna. O Rolando, we love you so, but your navy velvet smoking jacket is just so Twin Peaks. neways, La Trebs was nowhere to be found, but her management issued a statement graceful excusing her from the festivities. Blanked by Anna! As if there hasn't been enough news about Anna Netrebko lately, here's a leeeetle beet more. Puccini's La bohème, the Musikfilm, starring Netrebko and Villazón has put online the official poster and trailer in anticipation of the 10 October, 2008 Austrian release date. You can check out the trailer here and download the poster here. "La bohème - Performances on 7, 9 & 11 July: The management of the theatre deeply regrets to announce that due to a strike organised by the SLC-CGIL, FISTEL CISL, UILCOM UIL and FIALS trade unions, the performances of La bohème due to take place on Monday 7, Wednesday 9 and Friday 11 July 2008 are cancelled." As already reported by Opera Chic, this extremely lame decision by the unions kills the only really interesting show la Scala was going to offer for the next 12 months -- and considering that the management of the theater has huge public funding available when compared to all the other massively underfunded Italian opera houses, this doesn't make the management and GM Stephane Lissner look particularly good either (not to mention, the already heavily-burdened Italian taxpayers are heavily subsidizing la Scala with these embarrassing results; in a time of deep financial distress for the government, one shudders to think of what would happen if the theater had to try to find its funding without constantly nagging the taxpayers -- most of whom will never set foot in the opera house anyway -- for more cash). 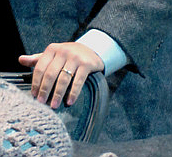 Dudamel -- just like Daniel Harding, and many other major-league conductors and singers -- is too expensive now for la Scala, so he won't be at la Scala for a while, after this Bohème eventually -- if at all -- has its course in the second half of July (Opera Chic, by then, will be on holiday), in the semideserted city. The upcoming Bohéme, conducted by Gustavo Dudamel, is the last OMG-IT'S-UNMISSABLE show to appear at La Scala for the next, like, year, considering how weak, on-the-cheap, repertory-heavy and star-deprived next season will be (the already really expensive tickets, on the other hand, will cost 10% more). Scala workers, today, have duly decided to go on strike and sink the first three shows of the boy wonder of the podium (who, like another rising star, Daniel Harding, has not been booked to appear at la Scala next season and possibly neither in the 2010-11 season): anyway, the premiere of July 7 and the second and third show, on the 9th and 11th will not happen unless the unions decide to cancel the cancellation. O.K., the production is the old dusty one by Zeffirelli since the theater clearly didn't want to shell out the cash to rent a newer production to give Dudamel, but still, this is pretty sad in so many ways. 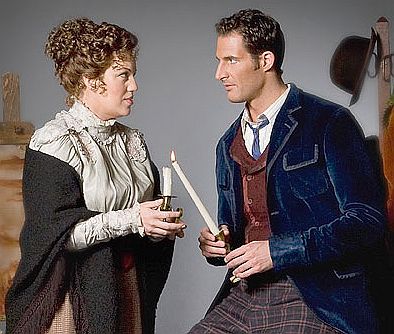 Another day, another Bohème (this is the Florida Grand Opera's turn). When your direction is reduced to having the children's chorus sitting at the front of the stage waving flags, you got a problem. Tragically enough, that big secksy man that is James Valenti (see image above) will be part of la Scala's Bohème we'll be subjected to in a couple months, conducted by Gustavo Dudamel, in Franco Zeffirelli's dusty old staging. No little kids waving flags there, right? One of the more detached Bohèmes that OC has been to, with every eye in the house bone dry and tissues unused by the time Ramón Vargas uttered, "Che vuol dire quell'andare e venire...", though not all fault of the tenor. The chemistry between the Ceauşescu-ian ice princess and our Mexican lyric-of-many-scarves was not terribly convincing, and Gheorghiu was detached, while Vargas remained aloof when scenes called for them to converge. Both singers acted independently well enough, but a sense of platonic buddies pervaded their scenes together. Gheorgs couldn't wait for her death scene to be over, squirming uncomfortably and stroking her jaw, while Teh Fargster kept hovering over her and kept like 3-inches away at all times. The best performance was by Italian Maestro Nicola Luisotti, who guided the tipsy, capsizable ship of Puccini's La Bohème to the safe shores. Angela Gheorghiu was at the helm of S.S. Unprepared, struggling to match obvious and egregious orchestral cues, at one point transposing notes at the end of a passage that was waiting for her measures ahead, and giving Maestro Luisotti the best workout he's had in years. Things got so precarious at one moment that Luisotti abandoned his orchestra and began furiously guiding the short-of-sight Gheorghiu through one of her simpler, later act songs with gigantic and florid flutters of his hand, matching her swells with the ebbs of the orchestra. Gheorghiu hasn't been doing her homework, and bombed the oral quiz. Vargas was more or less on point and the house clearly loves him. His Che gelida manina! wasn't anywhere close to perfection, but he received a wall of spontaneous bravi from the crowds, despite the fact that his voice at the higher notes was pinched, and he strangled a passage. When Gheorgs wasn't singing to the beat of her own drummer that mysteriously thumped away inside her own head, or searching for the proper facial expression instead of her dependable fallback knotted brows, or beginning her scenes in a timid, inaudible voice that grew in confidence and volume as the act gelled, what did emit from her was a gorgeous, tender, well controlled voice. Act I was a mess for her entrances, while Act III had her struggling once again against the orchesetra. More insulting than her sloppiness was the male leader of the local Gheorghiu fan club, who screamed encouragement from the Family Circle at the end of an early aria "BRAVO". FAIL! U FAIL @ LIFE! The perfect sound coaxed by Maestro Luisotti from the Metropolitan Orchestra was at moments heavenly. 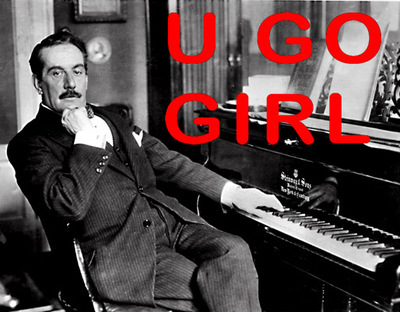 His mastery of Puccini's well-known score was a stellar interpretation, his idiosyncrasies insanely sexay and elegantly succinct, picking-up passages that can easily delve into sentimentality and sappiness. Afterall, it was Italian Maestro Nicola Luisotti's grandpappy that duck hunted with Puccini himself, so we expected a lot from the legacy of Puccini's circle of friends. One of the highlights of the night was the presentation of two plaques to Mistah Franco Frengo Zeffirelli, who toddled onstage at the end of Act II's immense and unforgettable Cafe Momus scene before the first intermission to speak a few words. Gelb came out and elaborated that they were putting up two commemorative plaques on the stage walls. Frengo then thanked everyone, and personally thanked Mirella Freni, Carlos Kleiber, and Luciano Pavarotti. And Opera Chic. And his legions of silk and cashmere scarves. We <3 u Frengo! There were a few opening night issues that have to be worked out, such as when Vargas and Gheorghiu remained in shadowed darkness during Act III's "Donde lieta usci". But more on that tomorrow, cuz this OC without sleep thing is about to get ugly. Below are some exclusive shots from the Austria set of director Robert Dornhelm's La Bohème, with *~opera stars~* Anna Netrebko and Rolando Villazón singing the leads. We all know we're gonna see this one, so here's a preview. Her cap in the picture above looks like a giant thong. No bebbe! Not in the snow! You'll get all chapped! Renata Scotto has been a peerless soprano and is a director of sneaky, sardonic brilliance: forget about consumption, in her Chicago production poor Mimì dies of heartbreak because Rodolfo is married and cheating on his wife. Chicago Tribune: "Conveying lyric pathos seems to come as naturally to Alvarez as breathing"
Into the breach went her understudy, young soprano Elaine Alvarez, who had never before sung with a major American opera company. She looked and sounded fully prepared to take on this touchstone Puccini role. Far from displaying any obvious nerves, Alvarez looked and sounded like a poised veteran. As the consumptive seamstress Mimi, Alvarez on Monday revealed an appealingly natural stage presence and a big, vibrant lyric soprano the color of deep burgundy. The voice bloomed under pressure the way you want a Puccini voice to bloom, yet kept its warm tonal finish when she floated the high pianissimos opera lovers wait for in rapt anticipation. Conveying lyric pathos seems to come as naturally to Alvarez as breathing. I first worked with Elaine when I was the Assistant Conductor at the Music Academy of the West in 2003. She was, even then, a consummate professional with an extraordinary voice/talent. She's a wonderful person, as well, and deserves all of attention she has and will continue to receive. Brava Elaine! All links are 100% free and expire in one week. Many thanks to Chicago's classical music station, 98.7 WFMT, who dutifully provide a live stream -- 24-hours a day, 7-days a week -- from anywhere in the world, accessible with an internet connection (and a computer) (and electricity) (and/or ears). 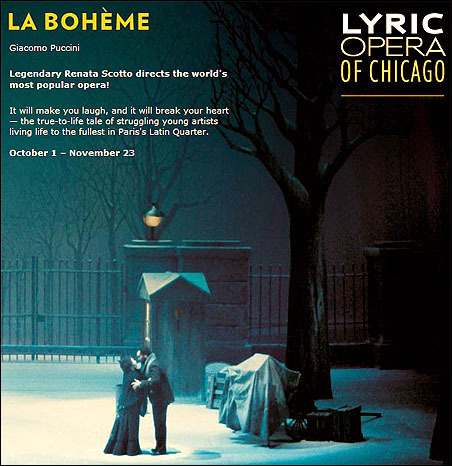 Anyone in Chicago who can’t make it to the theater (and those of us outside of the Windy City) can listen to the highly-anticipated, post-Gheorghiu-fallout Lyric Opera of Chicago’s la prima of La Bohème of October 1, with the soon-to-be-opera-supah-stah soprano Elaine Alvarez. You can listen to the live 98.7 WFMT stream via links to WinAmp, Windows Media Player, iTunes, or RealPlayer. However, first-time listeners must sign-up for a free account to access the streams. To do that, GO HERE, click on the media playa of your choice -- which will direct first time users to a sign-in page, where they can quickly/easily register an account. You can bet that OC will be listening to The Bucksbaum Family Lyric Opera Broadcast live from the Civic Opera House, on Monday, October 1, 2007 at 7:15 pm (Chicago time!!) -- //Which means 8:15 pm New York City time, and tragically, 2:15 am Milan time. A quick apology to all my Milan friends, but get ur rest, i'll SoundForge it, k?